5 Pages. Showing items 1 to 6 of 26. The Editors' Picks Awards Winner as Best for Kids, Best for Teens, Best for Fitness Enthusiasts and Best Family Cruise Line Royal Caribbean cruises offer much more way than a simply a cruise. With 21 magnificent ships in its fleet and widely regarded by regular cruisers as their favourite cruiseline, Royal Caribbean cruises have a reputation for modern innovative ships, wonderful service and a breath-taking range of itineraries, activities and amenities designed to appeal to every taste, energy level and age group. Royal Caribbean cruises offer everything you could dream of from a cruise. If you want to chill out, Royal Caribbean cruises lay on an unbeatable range of spas, where you can enjoy a relaxing massage, and solariums. Or if a more active holiday is more your to your taste, daytime activities aboard Royal Caribbean cruises abound as all Royal Caribbean cruises ships have an amazing variety of fitness facilities. All Royal Caribbean cruises ships have huge main pool areas and, while you are there, you can even catch a wave on Royal Caribbean cruises onboard Flowrider® surf simulator. There are also fabulous on-board ice rinks on Royal Caribbean cruises Freedom- and Voyager-class ships as well as offering an amazing 200ft above sea level rock climbing walls on every one of Royal Caribbean cruises ships. Royal Caribbean cruises ships range from mid-sized such as Majesty of the Seas, which has just had a major revamp, and state-of-the-art to mega-ships, such as Freedom of the Seas, with its surf park and boxing ring. And with Royal Caribbean cruises recently launched Oasis of the Seas, the fleets latest Oasis Class proudly bears the title of the world's largest cruise ship. This huge ship can entertain 5,400 guests who will be enjoying 2,700 staterooms onboard. Royal Caribbean cruises offer UK departures from Southampton and Harwich to the Canary Islands, the Mediterranean and Northern Europe very popular summer destinations together with a wide range of fly and cruise holidays to the Caribbean, Hawaii, North America, it's no wonder a holiday with Royal Caribbean is way more than a cruise. And if you want to escape the British winter, the Royal Caribbean cruises Brilliance of the Seas cruises to Dubai include visits to the Arabian Gulf's most popular winter destinations providing you the opportunity to enjoy beautiful sights and glorious weather. Royal Caribbean cruises depart not only from the UK, but the Mediterranean, Asia and Australia as well, and so attract a significant number of local passengers as well as Royal Caribbean cruises more usual North Americans voyagers. And if this isnt enough, you will be delighted to discover that the highly innovative Royal Caribbean cruises provide great value for money that will not break the bank. To enquire about Royal Caribbean cruises please contact our cruise specialist on 0800 542 9021 or enquire by email. As part of Royal Caribbean International’s extensive ship investment programme – which will see $300 million spent on enhancing the facilities and guest experiences onboard ships across the fleet – Serenade of the Seas is the next ship scheduled for a refurbishment in November this year. More speciality restaurants, new bars, a new baby and toddler nursery, flat-screen TVs in every room, plus a giant outdoor cinema screen are just a few of the new features awaiting guests when it emerges from dry dock at the end of November. Serenade of the Seas is just one of many ships in the Royal Caribbean International fleet that is receiving a major upgrade as part of the extensive investment programme. Serenade of the Seas will be refurbished during dry dock in November 2012 in Cadiz, Spain and will then sail from Barcelona, Spain on an 11-night Western Mediterranean cruise departing on December 3rd 2012. Serenade is the ninth ship within Royal Caribbean International’s 22 strong fleet to benefit from the investment programme. Further refurbishments will continue throughout 2013 and 2014. Royal Caribbean International today announced their selection of James Beard Award-winning chef Michael Schwartz to create new menus for its upscale dining venue, 150 Central Park, on Port Everglades, Fla., based cruise ship Oasis of the Seas. Known for his commitment to sustainable and seasonal food sourcing at Miami's Michael's Genuine Food & Drink, Schwartz will offer his expertise as the cruise line selects and integrates local produce farmers into 150 Central Park's supply chain. "Royal Caribbean continually looks to deliver the Royal Advantage to its guests through diverse and innovative dining concepts and the freshest possible ingredients," said Frank Weber, vice president Food and Beverage, Royal Caribbean International. "By joining forces with chef Michael Schwartz at Oasis of the Seas' 150 Central Park, we are gaining a respected hometown partner who will help us to navigate and embrace the local agricultural community by hand-picking the most appropriate local small farms to supply ingredients for our premiere dining venue." Royal Caribbean International today announced that it will invest approximately $300 million to bring the latest innovations to the cruise line's ships across the fleet and introduce the highest guest-rated programs from its award-winning Oasis-class ships. The revitalizations will offer guests a greater variety of new onboard dining and entertainment options, pervasive Wi-Fi, iPod docking stations, and many more amenities, to deliver even more of the "WOW" aboard all Royal Caribbean ships sailing worldwide. Planned through 2014, the revitalizations are yet another example of why Royal Caribbean has been voted Best Cruise Line Overall for eight consecutive years in Travel Weekly's Readers' Choice Awards. These fleetwide enhancements build on Royal Caribbean's best-in-class global vacation offering and deliver to guests the Royal Advantage - the industry's most innovative cruise ships, combined with exciting itineraries and destinations, and world-renowned friendly and engaging Gold Anchor Service. Below deck, backstage and behind certain doors, the sophisticated operations of a Royal Caribbean International ship has always piqued guests’ curiosity. To help demystify the hard work put forth by the cruise line’s dedicated staff and crew and the spaces they work in, Royal Caribbean International today announced the launch of the All Access Tour. Guests now have the option to visit behind-the-scenes operations spaces and meet key shipboard staff members on an escorted tour during their Royal Caribbean vacation. 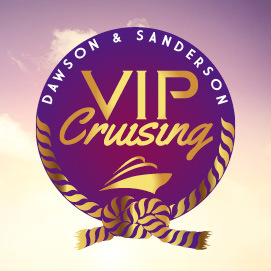 The All Access Tour will offer guests insight into the inner workings of some of the world’s largest and most innovative cruise ships and be available fleetwide aboard each ship’s first July 2011 sailing.